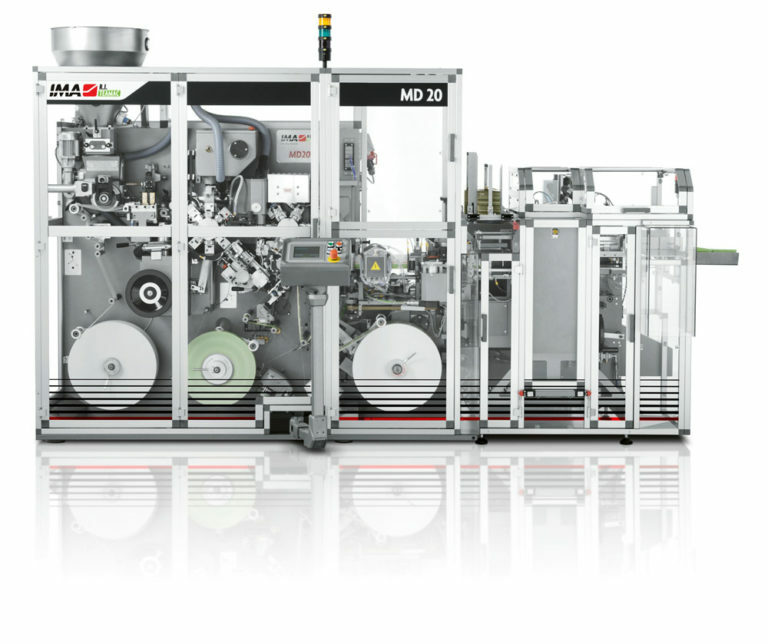 A mid to low-speed packaging machine for non-heatsealable, double-chamber, knotted bags for tea and herbs, the MD20 processes either naked bags or bags in heatsealed outer envelopes. 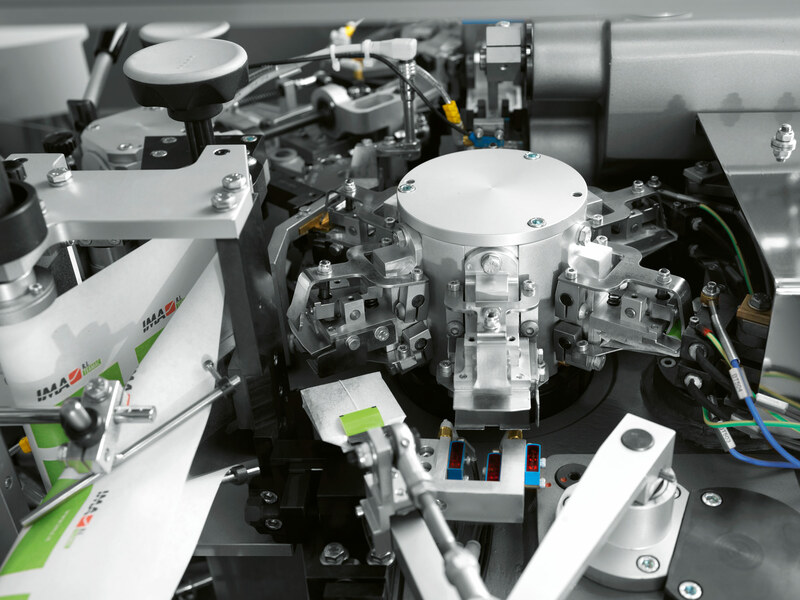 Equipped with an optional automatic cartoning attachment for pre-glued cartons, the MD20 can also be fitted with a hand-removal unit for counted or uncounted teabags, according to customer needs. Production is constantly monitored by dedicated supervision software and a video camera which checks knotting and teabag conformity. Absence of an aluminium staple and use of natural cotton fibre and chemical-free filter paper. Bags closed firmly with two subsequent knots using the same connected thread. Special rotating hopper ensures better handling of non free-flowing products. 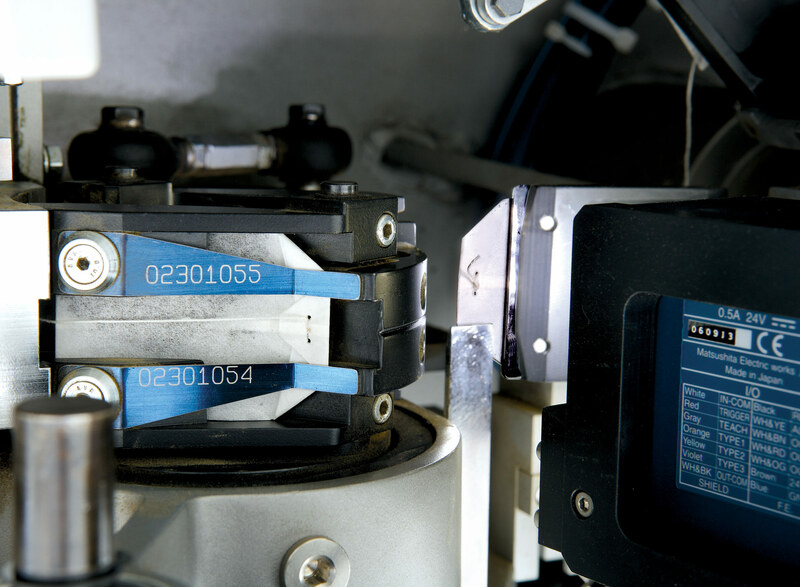 Single bag rejection increases production efficiency and quality. Knot conformity constantly controlled via video camera. Produces jumbo bags (45 x 63 mm) ideal for herbal teas. 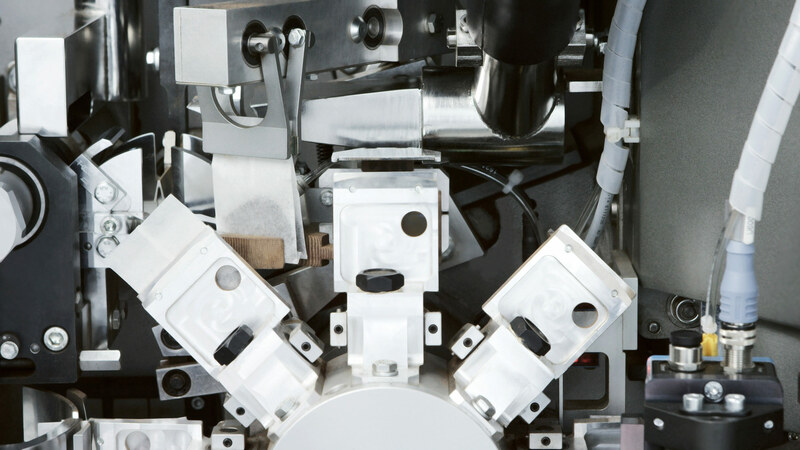 Significant savings on packaging material reaching up to 8% on best-in-class solutions. 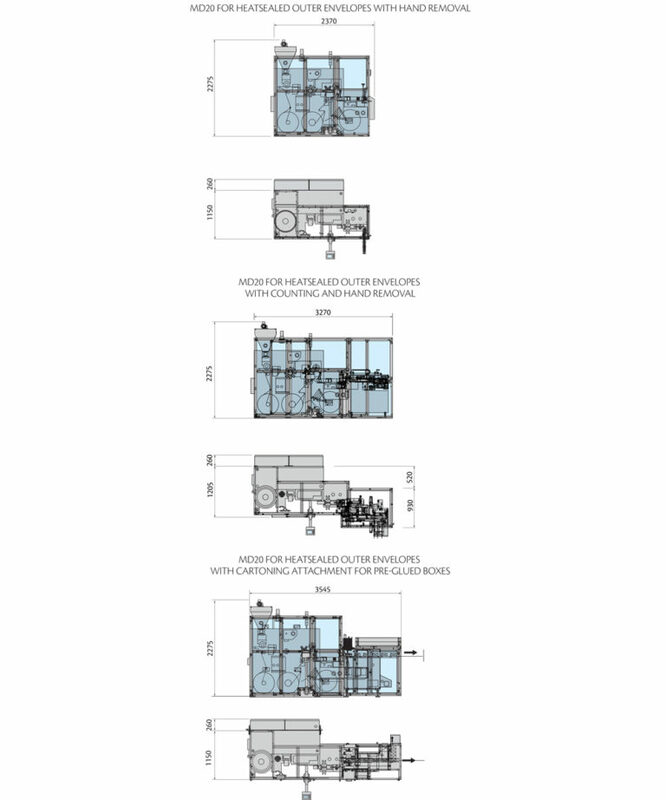 Processes all paper, aluminium and PE materials for outer envelopes from 80 down to 40 µm. Reduced needs for spare parts. 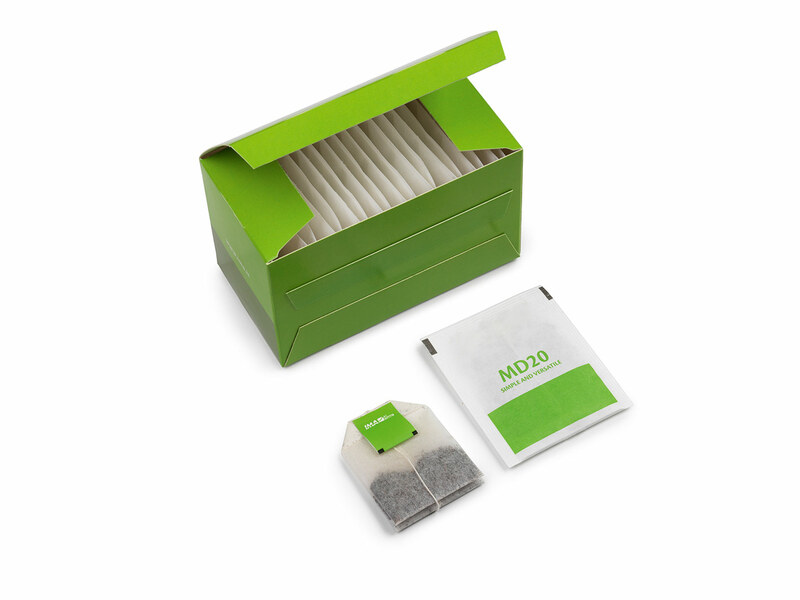 In order to ensure a more firmly knotted teabag, safeguarding the flavour and contents of the tea or herbs, the MD20 fixes each bag with two subsequent knots from single connected thread, without the need for auxiliary thread.